Are you planning a trip to Japan, but simply do not know where to start? Fret not, as help is here in the form of travel platforms KKday and Klook. Be it questions like where to get that discounted subway card, or matters such as arranging tours to the world-famous cherry blossoms, the two startups will help you organize your next trip, albeit each in their own way! Taiwan’s KKday offers fully-planned guided tours in more than 150 different cities. Their tour guides are all licensed in their respective countries, and travelers can leave public ratings on the site. Hong Kong-based KLOOK, on the other hand, offers a host of adventures through their individually-tailored itineraries. What’s more, the site books all of the relevant travel and entry tickets for you, allowing you to begin your journey in a relaxed fashion. According to CEO Chen MingMing, KKday’s goal is to "create a global travel platform for customers everywhere." The company allows travelers to choose from a wide range of tours conveniently and at low costs. Chen believes that in order to entice customers, KKday must provide unique experiences for all different kinds of travelers. This includes even more extravagant choices: "With us, you can book a ride in a Ferrari, and recently we have even added a trip to Las Vegas where you get married in a helicopter," Chen says. But KKday is also beneficial to those who offer the services on the ground. Sharing a personal anecdote, Chen mentions how the hotel shuttle during his Bangkok trip would exhibit a most unreliable schedule, causing trouble not only for the guest, but also the hotel. Having switched to KKday subsequently for their scheduling appointments, the local company quickly realized the importance of consumer demand for sustainable business. Thanks to KKday, they could adapt efficiently to the needs of international tourists. 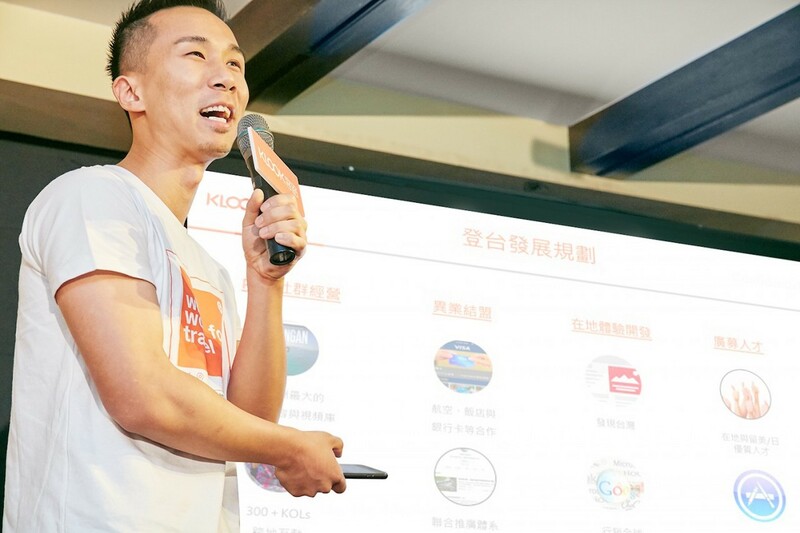 Klook CEO and co-founder Ethan Lin says that a key part of Klook’s success is rooted in the fact that they are "a big data travel company," which allows them to analyze the needs and interests of their customers to develop custom itineraries. Even though users may select the same destination, the options they will book are still tailored to their individual needs. Their mobile platform is another central part of Klook’s service. According to Lin, when consumers use their smartphones to look for travel information, there is a degree of urgency involved. To respond to such needs, Klook has introduced their exclusive Instant Booking service. In a nutshell, Instant Booking allows customers to reserve tickets or tours on the spot, provided the app shows a lightning bolt next to the offering. Lin points out that this type of instant service requires a strong IT infrastructure and excellent supply system technology. Lin believes that integrated transport services like this will change the future of tourism. The next step for the two startups is to further their international expansion and localization. KKday’s Chen MingMing says that “when it comes to working in domestic markets, you won’t understand the situation until you have locals involved." With branches in ten countries, the next goal for KKday is to deepen its ties with Northeast Asia, as well as to continue its zealous expansion into Southeast Asia. Chen is convinced that a proper travel platform needs a good variety of languages. For instance, besides Mandarin and Cantonese, “English will allow us to enter Singapore, the Philippines and other Southeast Asian countries," the CEO says. To excel in this regard, KKday has implemented a team focused on translation and localization of online content. Klook, which only recently has opened offices in Taiwan, shares these rationales and pursues its own international expansion with comparable zeal. Currently, the team includes employees from 15 countries and has offices in numerous regional hubs such as Taipei, Hong Kong, Singapore, or Seoul. Chen argues that only with an adequate local infrastructure in place can travel platforms truly shine - going global thus necessitates to go local. From the fund- raising perspective, at least, the two platforms have already garnered support to continue their expansion, collecting well over $10m in investments. If things go as planned, KKday and Klook will soon allow travelers everywhere to make their trips unique.